Conflict prompted by Boko Haram has led to widespread displacement, violations of human rights, protection risks and a severe humanitarian crisis. Across Nigeria, Niger, Cameroon and Chad, over 2.3 million people — mostly women and children — have fled violence. They all have one thing in common. 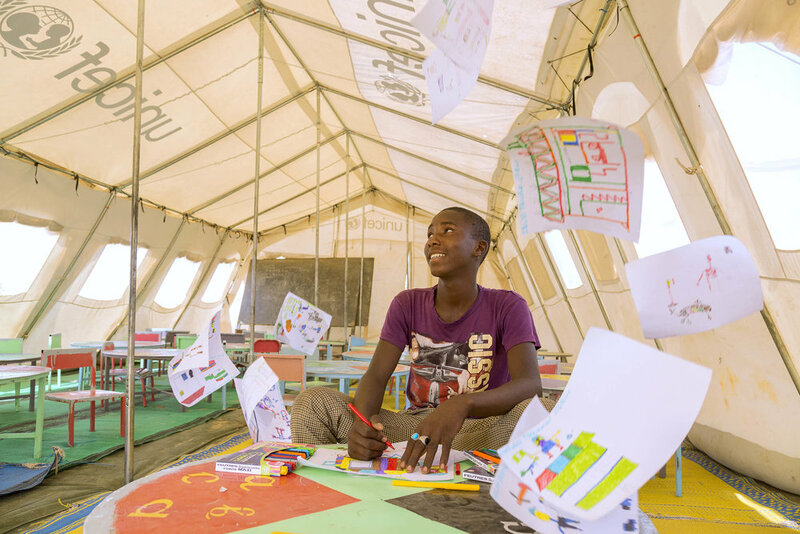 Barnabas Bitrouss, 29, volunteers in the Child Friendly Space in Dar Es Salam refugee camp, in the Lake region of Chad. “I tie up a long red rope all around the space, it protects children from vehicles when they are playing sports,” he explains. Children under 5 are particularly vulnerable to diseases during emergencies. Especially to those related to water and lack of sanitation. 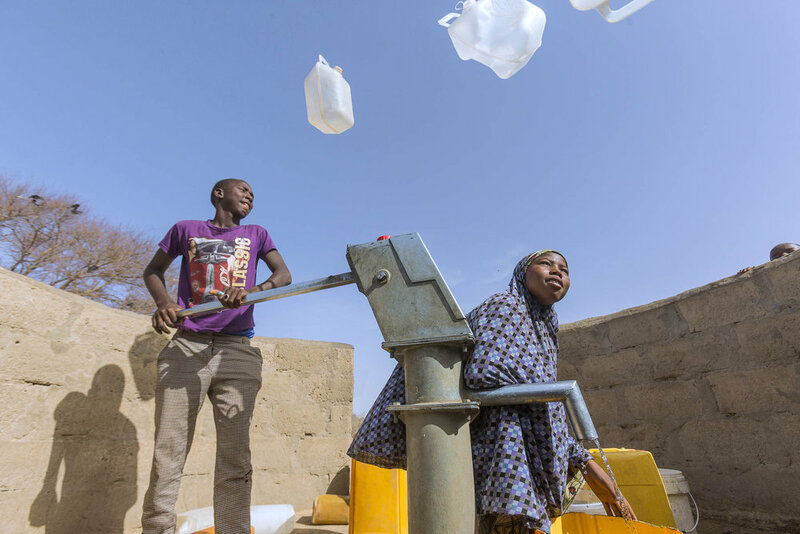 Nasir Hussaman (left), 16, and Lanzi Muhammed (right), 12, collect water from one of the UNICEF-built water points in Dar Es Salam refugee camp. Nazirou Ousman, 16, is talented and tech-savvy. Back in North-East Nigeria, his father’s had a computer business. “I want to be an Information Technology (IT) specialist. My father repaired computers and cellphones and I used to help him after school,” he says. Every child’s future starts with a dream and Hafsa Mohammed, 16, has a very clear idea of what she wants to become. “I have started again to sew. It will be useful for me to start my own business and I would be happy to teach others as well,” explains Hafsa. Education is a child’s fundamental right and critical during emergencies and times of conflict. In Chad, teachers like Musa Mohammed Tukur, 33, ensure there is still hope for children in the midst of violence. “I believe there is hope despite all this war,” he says. 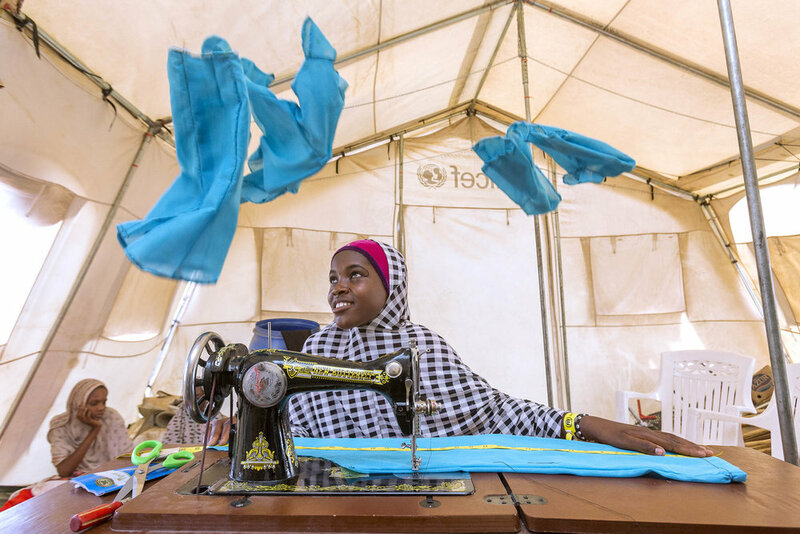 Hanatu Musa, 13, likes soccer but foremost she likes sports because exercise — she admits — is very important. “My teacher back in Nigeria told me that it is very important to practice sport. He said that one can achieve anything in life if exercises,” she explains. Hand-washing with soap and hygiene are a top priority in the emergency response for UNICEF and its partners. In the Dar Es Salam refugee camp Adamu Mussa, 16, washes his hands. Adamu arrived alone after fleeing his village and will soon be reunified with his family.